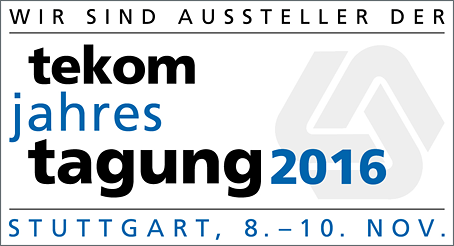 The yearly tekom conference regarding the topic of technical communication will take place in Stuttgart from 8th - 10th November 2016. We would be delighted to welcome you at our booth. If you are interested in a complimentary entry ticket and would like to arrange a personal appointment, please do not hesitate to contact us. Find out more about the automatisation of certain processes, Translation Memory and project management modules.